The Rapid Response Squad (RRS) of the Lagos State Police Command has discovered fake embassy operating in Lagos where many innocent members of the public had been swindled. 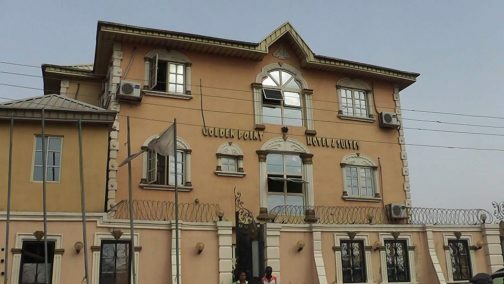 The Policemen attached to the squad swooped on them; two Chinese and two Nigerians were apprehended during the raid on their office situated inside an hotel, Golden Point and Suite, on Duduyemi Street in Ejigbo, Lagos,Nigeria. 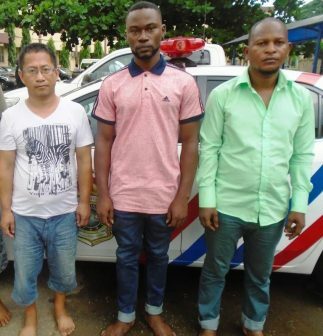 According to PM News, the Chinese: Liu Honyang, 47, Sun Xinai, 49; and their Nigerian collaborators, Oriyomi Olawale, 47 and Desmond Chinedu, 25, conspired and swindled Nigerians who had planned to travel out of the country to seek greener pastures. After the arrest, some of their victims showed up at the RRS’s Headquarters, recounting how they were duped respectively, hence their deportation from Trinidad and Tobago. He revealed that he and another person were rounded up immediately they got to Trinidad and Tobago by the country’s immigration officers for coming into the country with fake visas. “We spent two days underground inside the Police custody. They treated us like criminals trying to enter the country illegally,” he added. “We left Lagos enroute Lome on October 19th, 2016. From Lome to Sao Paulo in Brazil. From there, we moved to Panama where we boarded another plane to Trinidad and Tobago…. On getting to the country, we were arrested by their security operatives accusing us of entering their country with fake visa and documents. We were locked up for 48 hours before we were deported on October 22nd, 2016 and arrived Nigeria the following day,” he added. On his part, Rasheed Ololade, said that it was the same agent, Dorcas Sylver, who persuaded him to go to T&T too, adding that all the money he paid amounted to N1.3m into her account. “I met Adefuye at their office at Golden Point Hotel and Suites, Ejigbo in Lagos and we became good friends henceforth. We were only fortunate to have escaped being jailed in T&T for coming into the country with fake documents and Visa. They beat the hell out of us and starved us for the whole two days before fortune smiled on us. The Police in T and T collected all our belongings, including money and threatened to kill us. In fact, they were abusing Nigerians, calling us names. In fact, we were lucky to have been deported because that country is a junkyard for drug addicts and dealers,” he lamented. “Most of the Nigerians we met there were barely recognisable, and were high on drugs. One of them, confided in me that he was struggling to survive by dealing in drug and that he has resorted to fate, since coming home was difficult,” he added. Another victim, Friday Owah, who was at their office when they were arrested, said that he just paid N600,000 after being convinced to jettison his Europe trip for Trinindad & Tobago. “I was introduced to them by one Mr Oscar. I paid directly to Madam Sun’s GT Bank account. She promised to secure the visa for me within a space of two weeks. By the time the visa was ready, I was unable to eke-out another N850,000 for flight ticket, which made the T&T visa to get expired. I went back to see her to help me again for same visa. And she told me to pay another N150, 000. It was after I had made another payment of N150,000 to her account that someone told me they don’t accept stamp visa but that only electronic visa is allowed in that country. “I went back to explain to her but she denied the information but still insisted that stamp visa is acceptable in that country. Then, I told her that I was no longer interested in T&T and that she should return my money. I came to their office that fateful day to demand for the money when the Rapid Response Squad team came to arrest them,” he added. Another victim, Lukmon Odeyemi, a footballer by profession, also parted with N125, 000 for Trinidad and Tobago’s en route visa. “The lady (Sun Xinai) charged me N400, 000 but I was only able to raise N125,000 with the hope of balancing her by month end,” he noted. In his reaction, Liu Hongyag, one of the arrested suspects, said that he only helped her boss to do paper works and documents. “We operated as separate entity as travel agency under the company’s name, Golden Point Hotel and Tour but our office is located inside the hotel. Sun Xinai is my sister, and she is the director of the travel agency. I only do paper works and documents for visa procurement. I don’t know how she secures visa for people. All what I know is that she travels to Abuja and comes back with that stamped visa. I am a phone repairer,” he stressed. Our source posited that investigation has further revealed that the Trinidad and Tobago’s Embassy has confirmed the Visa fake and the two Chinese agents unknown. 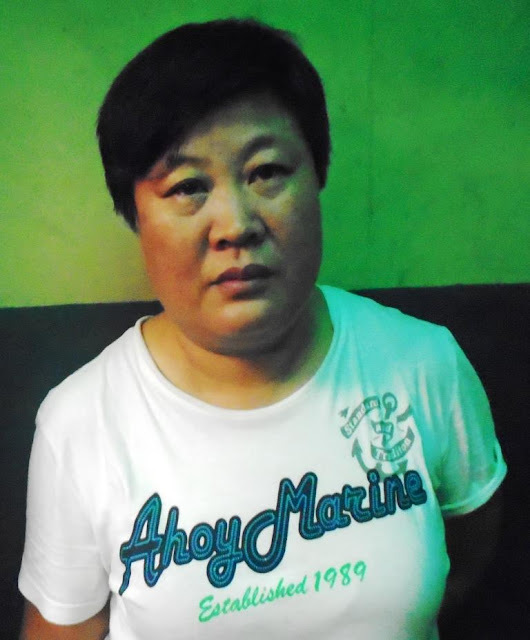 But Sun Xinai, the major suspect, noted that she was unaware that stamped visa for Trindad and Tobago was no longer tenable in that country anymore. Items recovered from them during the raid were 25 international passports, 10 laptops, screw driver, five phones and paper documents. While confirming the arrest, the Police Public Relations Officer of Lagos State, Superintendent of Police, SP Dolapo Badmus, said that Police would not rest on its oars in protecting rights of any individual in the country. She said that the Police were on manhunt for all their agents and canvassers.